Next Gear Solutions CONNECT 2020 will take place at the Hyatt Regency in New Orleans, January 14–17, 2020. The goal of the new ACI website is to offer its audiences a modern resource for easier access to information on the value of cleaning products in our daily lives. IICRC will develop a new BSR/IICRC S900 Standard for Professional Remediation of Illicit Drugs, Cannabis, and Nicotine Residue. Business Growth Strategies is a unique, three-day workshop with the vision of helping contractors to succeed in a competitive marketplace. Don’t get lost along the way. It’s never too late to reinforce your drive to be an entrepreneur. Considering adding trauma and crime scene cleanup to your portfolio of services? Find out if you have the insurance you need to tackle biohazard work. When tools go missing, it destroys efficiency and kills profits. Use this system to hold your employees accountable. Crown Products, a supplier of janitorial, cleaning, and packaging solutions, will celebrate its 100th year in business this May. Register now for the only peer-reviewed research symposium for facilities cleaning and disaster restoration professionals. ISSA Show Canada 2019 will take place June 11-13 at the Metro Toronto Convention Centre in downtown Toronto. 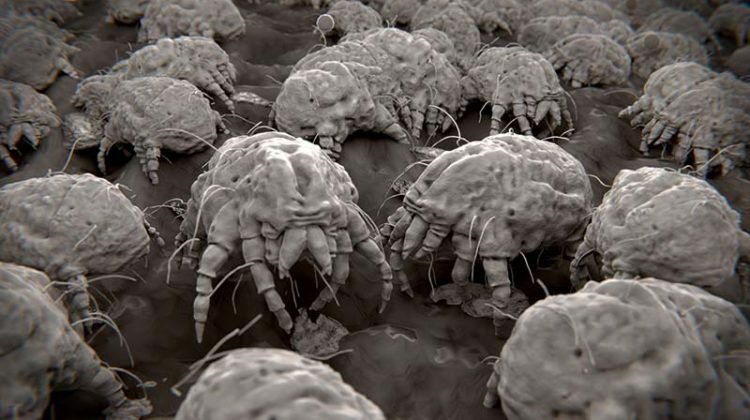 There’s a common notion of a dust mite allergy, but what are your customers really allergic to, and how can you address it? New trends in flooring and the issues, headaches, and opportunities they bring. We can create our own success by ensuring the success of those around us. Rust-removal products have a colorful history. How do the safer modern removers compare to the acid-based ones of the past?